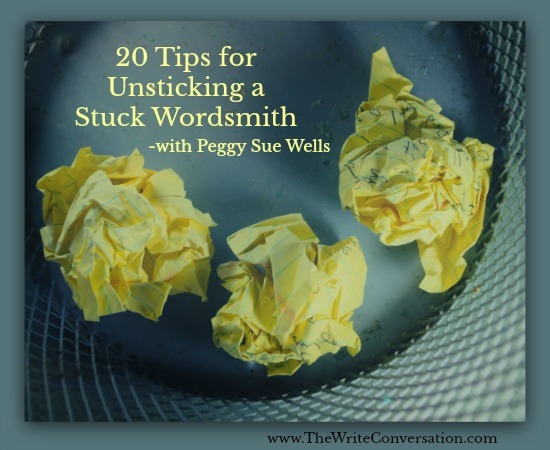 What does a writer do to move the story forward when we feel like we have writers block? 1) Just write. Write poorly and fix it later. 2) Write about anything you want to write about and put it in your manuscript. Describe something and watch what happens. Just write. 3) Play the What if...? game. Ask what if questions. What if the character goes spelunking? What if they lose what they most love, get what they most want, run for supreme court judge, get trapped in a moon launch, are despised by paparazzi, stalked by a younger sibling, allergic to seafood, have a romantic crush on a bull rider, have one leg two inches shorter than the other, get a mysterious text, are mistaken for someone else, wrongly accused, go blind, invent a mean people warning device, get the wrong vaccination, run away from the dog, disguise themselves to spy on someone, discover their parent has a secret identity, design the White House Christmas card, become the presidential kid’s shopping nanny, find Santa has run away from the North Pole and joined the ice follies? 4) Read an advice column but don't read the answer – just use the problem. 5) Like Bill Myers, make up a wild title and write to the title. My Life As a Smashed Burrito with Extra Hot Sauce. 6) Weave in something that happened in your own life. The cat that slept in your fiddle case, the goose you stole from the zoo, the best Christmas gift you received. Your most embarrassing moment. 7) Incorporate a current issue such as new technology, ridiculous trend, reality shows, gun control, medical care, surrogate mothers for movie stars. 8) Play music and write to the feelings the music evokes. 9) Turn a female character into a male or visa versa. Put the character in a new setting – on a dog sled, in Amish country, at the south pole, on a movie back lot, in a factory that makes plastic doggie poopie. 10) Research a weird fact and add the fact to the story. Like what’s the capital of North Dakota, how often does a goose poop (every 8 minutes – trust me on this one), or what’s the difference between a violin and a fiddle? 11) Give a character an obsession. 12) Write a prolog to your story. For Jerry Jenkins, that developed into several prequels for the Left Behindseries. 14) Write an intriguing line. 16) Ask your character questions. 17) Recall your most painful experience. How did that event look, smell, taste, sound, feel? Write a scene that plunges your character into those strong emotions. 18) DiAnn Mills corners her character into choosing between two wrongs. 19) Be desperate. Don't worry about getting it right. Just get it written. Put black on your white paper. 20) Have fun. Be outrageous. While there is no such critter as writer’s block anymore than there is donut-maker’s block, nurse’s block, or mechanic’s block, writers occasionally get stuck or write ourselves into a corner. That’s the time to write anyway. Write poorly, but write anyway. During the editing process, the words will be polished and readers will never know you had a rough patch. 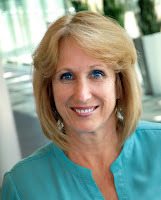 Writer, speaker, producer, radio co-host, and mom, PeggySue Wells is the bestselling author of a couple dozen books including an audio finalist. Her brand new 2018 titles are Homeless for the Holidays, and Chasing Sunrise(releasing November 16). As a gift to her readers, Homeless for the Holidays ebook is available for 99 cents on October 8. Thanks for these tips, Peggy Sue! Love it. You are most welcome, Darlene. Thanks for reading. I have, in fact, been stuck of late and will implement some of your tips!! Glad to be of service. What tips worked best for you, Robin?